A call for bloggers and independent minded individuals to help debug government waste and ineptitude. 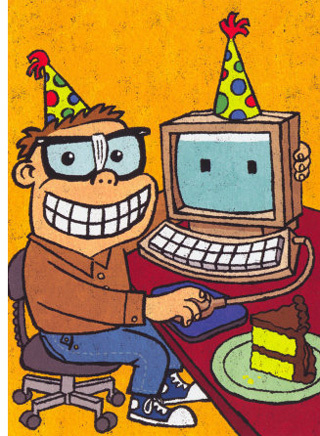 I’ve been fortunate for having spent a good portion of my professional career as a computer programmer. Some might consider this a misfortune who imagine the lifestyle –sitting in front of a computer screen all day– but there is something very special about the world of pure logic. In programming there are rules and syntax that must be obeyed. If you learn the syntax, the rules and the tools, you can have amazing power at your fingertips. Programming has another added bonus in that once you have been programming for a while, you start seeing the world differently: You see things in while loops, if statements, case statements and recursion. By understanding how basic systems work, you can break down complex systems into essential components and analyze the parts. Through this debugging process, the programmer develops and test theories of why a program is failing. Ultimately, when the bug is found, the code is rewritten and the program works. What a great rush! Only debuggers can know what I’m talking about. 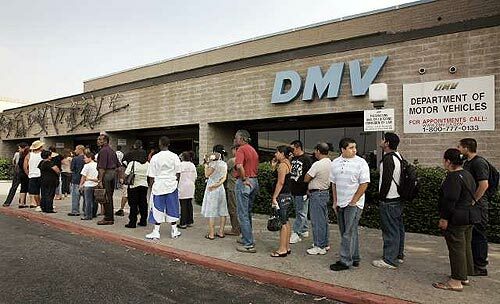 Compare, for a moment, the DMV (Department of Motor Vehicles to McDonalds). Both serve many customers, both have many employees. However McDonalds is one of the most efficient well run operations in the world and the DMV is one of the mostly poorly run operations I’ve ever witnessed. Have you ever stopped to watch the McDonalds system? The people who designed the burger production system were very thoughtful about every detail. 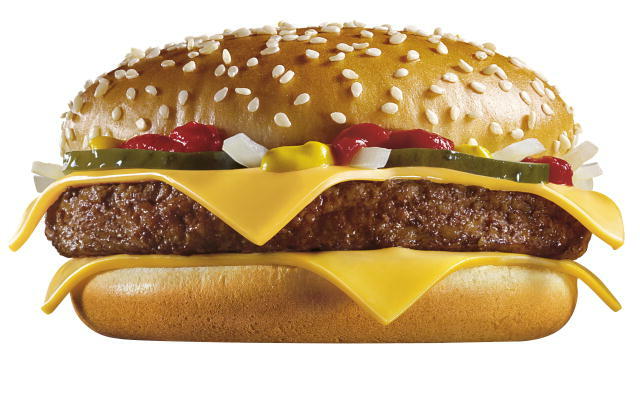 When a customer orders a quarter-pounder with cheese, the cashier presses a single button to transmit the order– simultaneously two people begin working on the burger assembly line: the person who arranges the bun with toppings, and the person who puts the patty in the “grill”. This may seem like over kill to have two people perform such simple tasks, but this way if 10 orders for burgers are made at once both people on the assembly line can work at full speed and fulfill the orders in a timely manner. The engineers who designed this system understood the principles of object oriented programming. OOP is the term used to describe objects that are good at just one simple task. When each object or part of a system understands the rules it must follow and the tasks that it must perform, it’s much easier to find bottlenecks and make the system more efficient. The burger guy knows how to select the appropriate quarter-pound patty from the bin and drop it into the conveyer cooker. The bun and topping guy knows that he should put the completed bun with toppings open-face beside where the completed paties are ejected to reduce added labor. I prefer Crown Burger to McDonalds, but the process is still a marvel. The DMV on the other hand: has many employees; a huge building; a huge waiting area, but everything still takes sooo long. Examine what the DMV employees are doing and we immediately understand the nature of the problem. One woman is sitting at a cubicle chewing gum while poking her hair with her pencil, while talking to a friend smiling. Good multi-tasking potential, but she is providing no help because she is the manager. In the meantime three clerks are collecting papers sending people back to complete all the necessary information on the renewal form. The zig-zagging line of people wait and wait, some don’t even need a photo, but just another license because their wallet was stolen. Others require a lot of attention who are there to take tests. What everyone has in common is the aggravation they feel for being required to wait so long. Why is this? Whose fault is this? Why can’t the DMV be more like McDonalds? For hundreds of years the systems found in the free-market have been analyzed, scrutinized and improved and have made us all more wealthy, successful and able to afford more things with our money– not because these entrepreneurs are altruistic or great humanitarians, but because their level of efficiency is directly proportional to their profit. If engineers find a way to build a product more efficiently, they can offer lower prices forcing their competitors to become more efficient too– or suffer loss of market share. So how does this relate to government? The problem with government is there is no incentive for the systems of government to improve efficiency, but just the opposite. The less productive or inefficient an agency, the more money it can justify. In the free market there are rewards for individual achievement and success. Within the private sector if you work hard and find a way to make the business you work for more efficient and more profitable, chances are you will get a big raise. There are no rewards for bureaucrats to be more productive, but just the opposite. Within the public sector, if commissions and or government agencies cannot spend the budget they are allocated–they don’t get a bonus, or a raise– instead they open an opportunity for budget cuts: the two scariest words for any bureaucrat. This obvious flaw in the way the system is designed is the reason why the size of government has been growing at such an rapid pace for the past 50 years. There are many huge flaws and inefficiencies in government. Under the current design, nearly every bureau of government has disincentives for anyone to do anything to save tax-payer’s money. Now you might be thinking that’s why we elect leaders to go to congress, to cut out fat, represent our best interests and spend our tax money wisely. But that is another bug in this system too. There is no such thing as a citizen politician anymore. There is almost nobody going to Washington or even the State Legislature to simply work in the best interest of their constituents. Why? Because there are too many old outdated, inefficient systems in place that even the highest-minded politicians couldn’t begin to budge. Even if a “Mr. Smith” gets elected (ala Mr. Smith Goes to Washington), the old story could never happen today –because only senior members of congress serve on the most important committees. Only committee members can decide what gets to the floor to be debated. Therefore, unless a politician is in it for the long haul he or she will not even get a chance to speak about their high-minded ideals or government debugging plans. Sadly, the only way to be reelected enough times to get on the most important committees is by selling out to special interest groups. For these reasons politicians are in the business of bringing home the bacon in the form of earmarks, and serving those who get them reelected (special interests) and rarely will even consider budget cuts or debugging the systems that don’t work. Recently, Bernard Madoff was finally caught running a ponzi scheme that had collected billions of dollars from investors. It has been recently reported that Madoff’s scheme was first detected by independent observers back in 2001. Jerry Kronenberg first reported Madoff to the SEC (Securities and Exchange Commission) in 2002 What did the SEC do? Nothing. (source) Madoff was reported again in 2003, 2004, 2005- what did the SEC do? Finally, they opened an investigation and found “no wrong-doing,” despite Madoff’s financial statements not properly adding up. Kronenberg says they found no wrong doing because there aren’t any finacial analysts who have the mathematics background to scrutinize financial statements at the SEC. 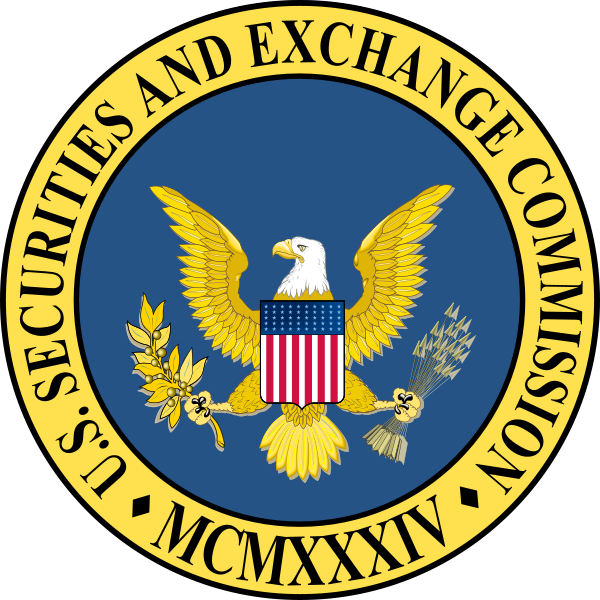 The SEC the commission designated to look over and referee the largest economic trading system in the world– and they don’t have the skills required to properly read a financial statement? I know government agencies are fraught with ineptitude but this is like finding out the mechanic you hired to fix your brakes and who has never seen a roter before. This news is more than a little worrisome. US citizens spend more per capita on prescription drugs that any other country (source). One of the biggest stories you will never hear in the main stream media is how there are millions of people who are currently taking drugs to combat the long-term side-effects of other drugs. This endless spiral that so many Americans are stuck on is a big reason why a larger percentage of our GDP goes to medical care than any other country. Just one example Utah Stories recently covered> is SSRIs. It has been proven that SSRIs (anti-depressants) are highly addictive. SSRIs are one of the most profitable, highly prescribed drugs in the US and the FDA has done almost nothing to warn doctors or patients of the huge long-term risks of taking SSRIs. Why doesn’t 60 Minutes or Dateline NBC cover this story? Perhaps because nearly ever ad on 60 minutes is an ad for a drug company touting a new pill. A huge reason why nearly 17% of our GDP goes towards health care in the United States (source) is because of one simple problem Western Medicine has followed for too long: the most simple treatment for an illness is almost never the most common treatment prescribed. Instead, drugs that destroy our kidneys, liver and immune system are used to treat illnesses. Who do we blame? Many are quick to blame the evil drug companies. But this would be misplaced, because certainly drug makers have done more good than harm. Due to advancements in drugs we live longer and better lives (source). Blame the FDA for not working in the best interest of your health. American children are fed on a diet of junk food because parents are too busy to cook– hyper-activity, ADD, early onset diabetes and poor test scores are the result of poor nutrition. (source) . These problems associated with poor diet lead to more doctors visits and more drugs for parents and their children. If the FDA did anything productive it would educate parents and children about the dangers of junk food and the dangers of resorting to drugs to treat every ailment. It has become clear that it’s best to not trust anything the FDA approves, instead do your own research. Trust real experts: look to homeopathic remidies, herbs, improving nutrition, exercise and the simple remidies that have no side-effects. Then look to chemicals that will likely treat symptoms, but cause other problems. Utah Stories began it’s coverage in October 2006 by asking the question why Main Street Salt Lake City was dead? Why there were so few local merchants on the street and why the two giant downtown malls were no longer viable? This lead us on the path of asking the long-time merchants what had happened. According to them, the city “had killed them with kindness”. The Mayor’s office and the Salt Lake City Chamber wanted to bring shoppers back to downtown and in this effort they spent millions “beautifying the streets” by widening the sidewalks. According to the merchants we spoke to, the two beautification projects over a ten year period reduced parking on Main Street by nearly 50 percent. Further, these beautification efforts left many merchants shops inaccessible: storefronts were left with piles of dirt in front of their shop doors for months–customers couldn’t get in. Besides this, all the local merchants were levied an additional tax to pay for this “beautification”. The result was a disaster: the widened sidewalks didn’t attract more people, but fewer– because there was no longer enough parking. A few years later a mall was proposed that would offer additional parking: The ZCMI Center. The mall brought people back downtown, so and a few years later another mall was built across the street: The Crossroads Mall. A second mall on the North-end of Main Street was the final nail in the coffin for around 40 local merchants located on the South-side Broadway and Exchange Place district. These malls monopolized the economic power on the street and ultimately most of the ma and pa shops on Main Street were traded for corporate mall stores. Salt Lake City’s Auerbachs Department Store was in business for over 100 years. The store was no longer economically viable because the city worked to lure in Nordstrom Department store into their new mall, which provided ample parking. Despite Aurbach’s long-time connection with the history and growth of Salt Lake City, it couldn’t compete with Nordstrom. The city leaders believed that the additional tax revenue from the malls would justify their decisions. Apparently the newspapers agreed with the city because there was almost no criticism of the malls. Other ineffective agencies are the NEA (National Education Association) which works to prevent innovation in public schools (see more). The IRS (Internal Revenue System) which offers the most confusing, costly and burdening tax collection system in the world. The courts, Department of Corrections, at every level our government is full of bugs, inefficiencies and ineptitude. For too long, there have been too few debuggers. As a result, bugs run rampant women have disincentives to get maried, resulting in children being raised in poverty by a mother who knows if she finds a husband she will loose her monthly welfare check. Other examples I could mention include health care, welfare, taxes, economic policy, city planning, infrastructure etc. So who is to blame for all of the problems in government? The bureaucrats, the media, the liberals, the conservatives? Yes, all are to blame. We need to blame ourselves and accept accountability and responsibility. We need to accept the blame for not being more involved. It’s easy to enjoy our wonderful of prosperity and be apathetic to affecting govnerment. But we have a say, it’s our fault for electing leaders for the wrong reasons, for ignoring ineptitude. By taking the blame ourselves we realize that only we have the power to fix what is wrong and take action. We need to begin examining our government ourselves and start doing the oversight work. It’s clear we can’t trust our local leaders as well as the SEC, FDA the IRS and all the rest, we need find the bugs, errors and failures and put the free market to work in making this happen. It is Utah Stories mission to compensate those who are willing to work at debugging government on our behalf. Individually and together we can use the power of new media to empower citizen journalists. We can produce real Mr. Smiths who don’t need to rely on a failed congress to be heard, because “We the People” are listening. 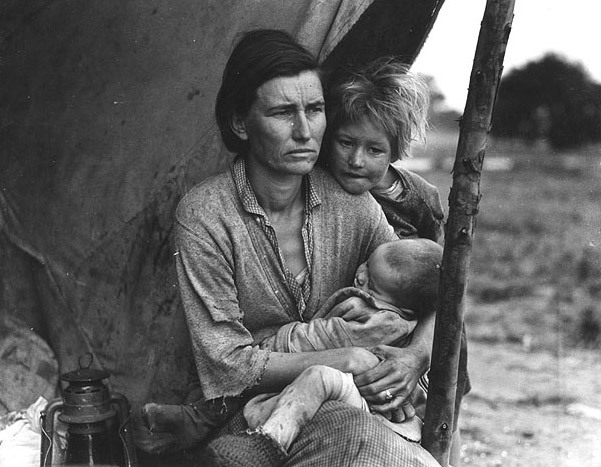 Will we need to go through another Great Depression before we wake up? We currently are in dire risk. There have never been as many bugs in government as we have right now. This is because there has never been more government power and spending in the United States then there is today. It’s clear from the above examples we cannot trust government with the important job of oversight. Also, now is not the time to rewrite our program architecture and give up on the best framework that has ever been built. The United States Constitution will serve our cause. Democracy and free-markets–although imperfect–are the best engine for liberty ever devised. With proper analysis and debugging of Utah and the United States Government, we can maintain the most efficient engine for prosperity and liberty on earth. Utah Stories is actively seeking individuals to help with the debugging process. Please contact us with your ideas of areas you could actively debug. Even a simple story where you found inefficiencies could earn you a pay check. Utah Stories compensates citizens for their work in debugging. It’s thanks to our wonderful local sponsors (and the free market) that we can do this. 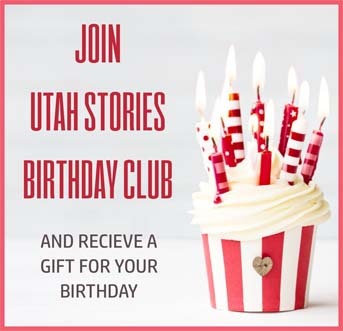 Please remember to support Utah Stories by clicking on their logos and patronizing their businesses. 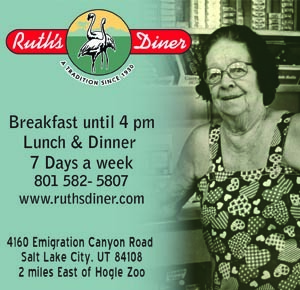 Also, thank them for sponsoring the only independent source of news in Utah that is truly working for the citizens of Utah.